A recommended template to create a written policy. 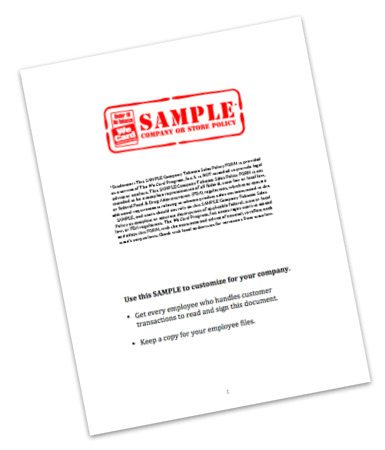 Customize this Word document template and get your employees to read & sign the Acknowledgement. Keep a copy in their employee file. 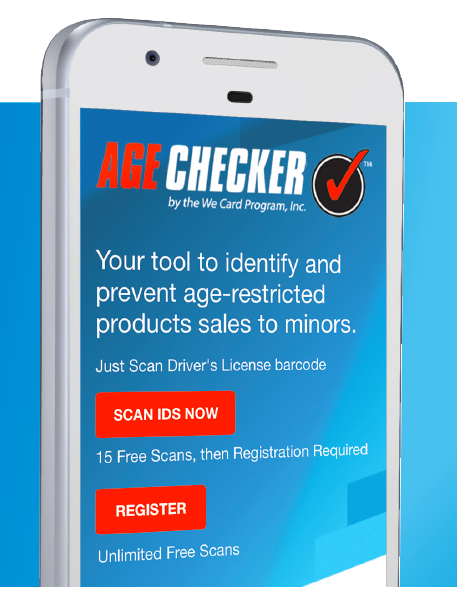 We Card’s new Age Checker App – Smartphone app that scans driver's license bar codes, calcuates customers' ages and provides "OK TO SELL" or "DO NOT SELL" messages for tobacco, e-cigarettes & vaping products and alcohol. 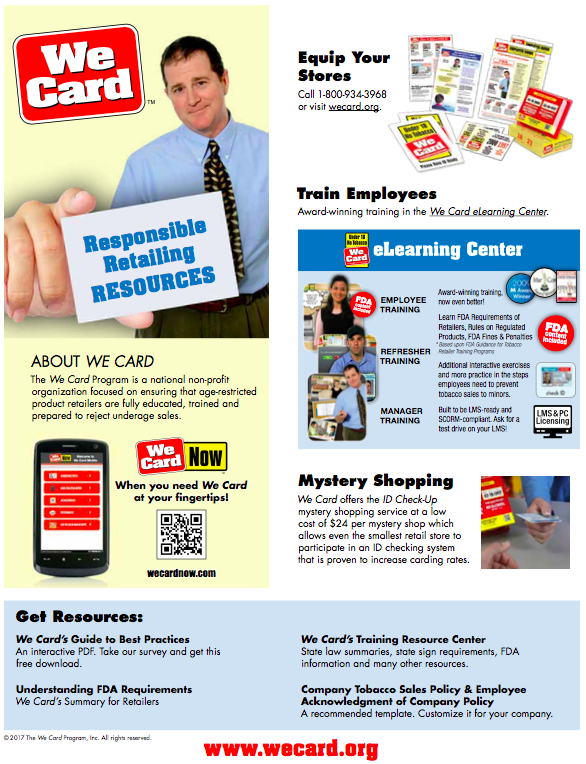 An interactive PDF highlighting We Card's Best Practices and solutions to implementing them for your company. 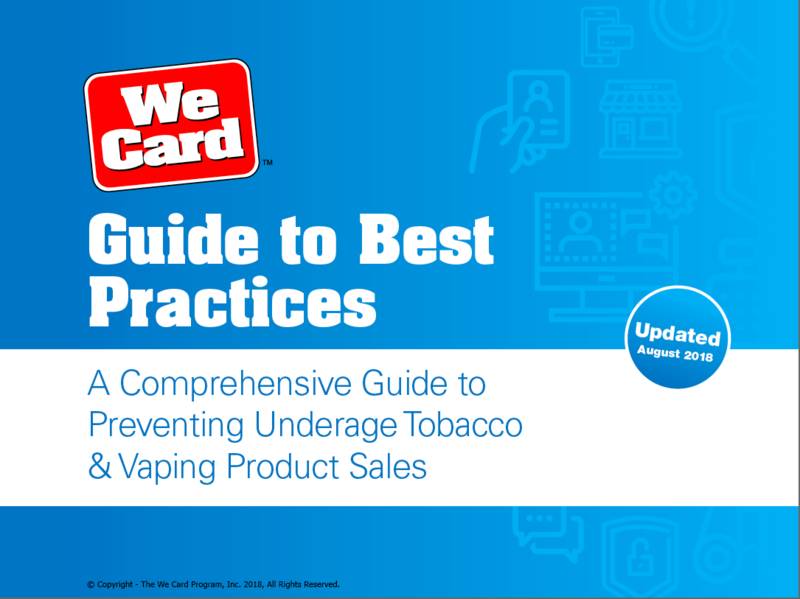 To obtain the Guide, please complete our survey first. 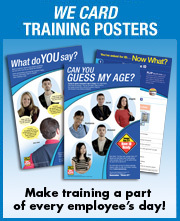 A download catalog showcasing We Card in-store signage, training tools and age-calculation tools. Easy ordering online or by a toll-free call. 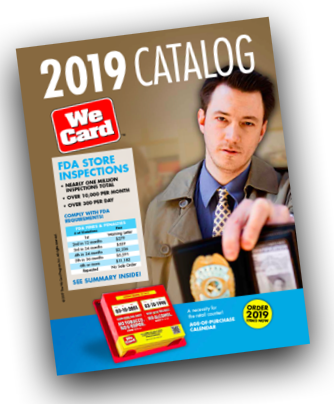 A snyopsis of the We Card Program and its main program areas. 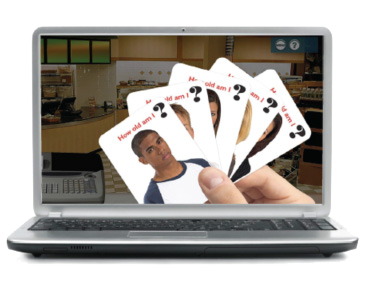 Our bi-monthly mystery shopping program to check if store employees are “carding” for age-restricted products (tobacco, alcohol & e-cigarettes). 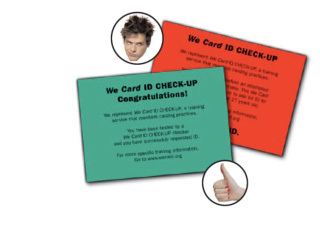 Sign-up online, register your stores and access comprehensive online reporting of your stores’ red or green card performance.